Had a great stay for 8 days. Amazing downtown location with nice restaurants around and within trekable distance of major attractions such as the Eaton Centre, CN Tower and Ripley’s Aquarium. The location was great. Close to everything. If they cleaned things up in the building it would have been a great value! "Successful experience will be repeated, very good location. I thank the staff for their hospitality , I recommend it to anyone who wants to visit Toronto as a tourist. It's about 10 minutes walking to Dundas square, 24/7 mini market 5 minutes walk, many restaurants. We spent four days at the property during the TIFF week. 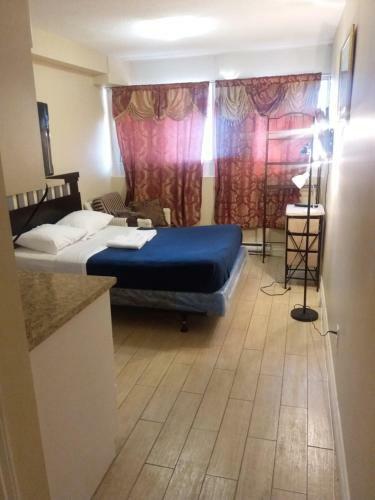 It's close proximity to Ryerson University, about 3 blocks away and 5 blocks to the Yonge / Dundas shopping area and the Church St. - gay village. The property's immediate area is a bit sketchy, especially across the street at the park. There were lots of homeless people hanging around the park and it's best be careful at night. The wifi and TV signals were very strong; new wood flooring was very nice. The small kitchnette was adequate for light meals (breakfast, tea and snacks) All the pots and pans need to be replaced. The dishes were okay. The subway is a bit of a walk, 15-20 minutes, to Yonge or to Sherbroune stations. This apt. would be a great home away from home if all the furnishings are replaced, pots and pans, a new paint job and a thorough cleaning. First time ever renting a studio that had a FULL OVEN.1 Great foot traffic location; and about 60% of a hotel room. This is a value that would not be acceptable to some of my "bent-nosed"friends. Very good and central location. Easy to walk to places. Checkin and out process straight forward even though there wasn't an actual checkin desk. One of our best sellers in Toronto! Offering access to public transport, this studio in Toronto city center is facing a streetcar stop and is 10 minutes’ walk from Dundas Square. 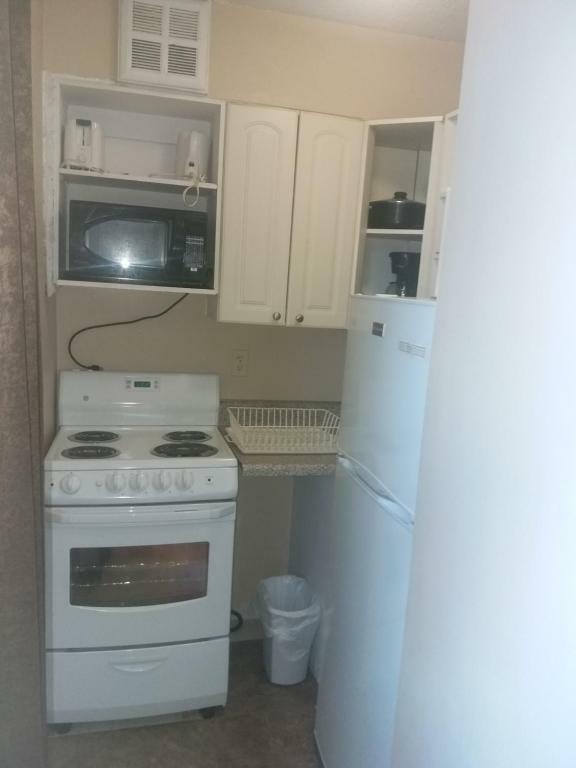 Fully furnished, the unit comes complete with a kitchen. 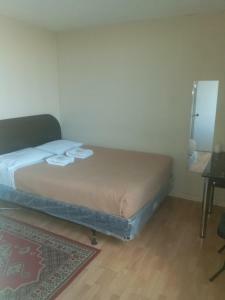 Cable TV and free WiFi are provided in Alisa Guest Suites’ units. Free local calls are included for stays of 3 weeks or more. A coffee maker is provided upon request. A bathroom with tub and shower combination is included. On-site laundry facilities are available at Alisa Guest Suites Toronto. 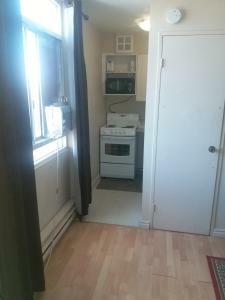 Ryerson University is 10 minutes’ walk from this Toronto studio apartment. Guests can enjoy shopping at the Toronto Eaton Center, just 15 minutes’ walk away. When would you like to stay at Alisa Guest Suites? Uniquely decorated, this studio includes a full kitchen, cable TV, free WiFi and desk with chair. A coffee maker is provided upon request. Guests who are staying for at least 3 weeks are provided with a mobile phone which can be used for local calls during their stay. Square footage of the studio apartments ranges from 225 to 450 square feet. 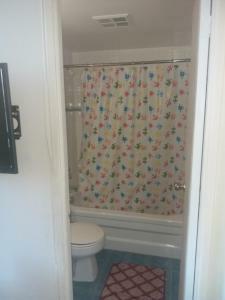 The apartments are individually decorated, and have different sizes, but they all have the same facilities. House Rules Alisa Guest Suites takes special requests – add in the next step! Any additional adults are charged CAD 20 per night for extra beds. Alisa Guest Suites accepts these cards and reserves the right to temporarily hold an amount prior to arrival. Please note, additional charges apply for guests that check-in between 21:00 and 23:30. A security deposit of CAD 250 is required upon arrival for incidental charges. This deposit is fully refundable upon check-out, subject to a damage inspection of the property. 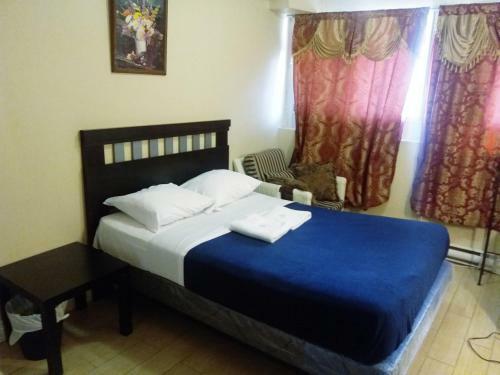 Extra guests: One extra guest can be accommodated in an extra bed for an additional CAD 20 per night. On-site parking is subject to availability. A damage deposit of CAD 250 is required upon arrival – that's about 186.44USD. This deposit is fully refundable at check-out as long as there's been no damage to the property. Windows taped with aluminum foil. Curtains falling off the wall. Used condoms under the bed. The building smells. The hallways are dirty. The couch had duct tape on the legs. 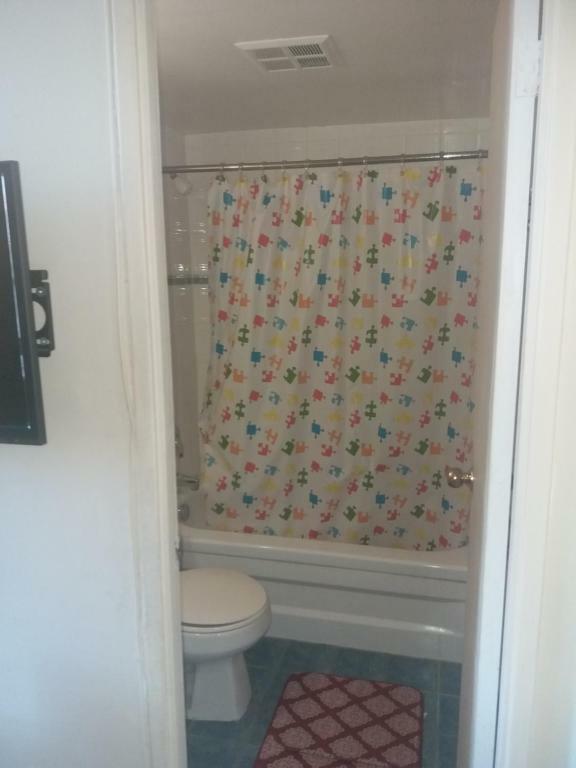 Shower curtain did't fit the tub so water gets everywhere. The front desk was none existent Lack of heating (I went during winter) Unfriendly owner Loud adjacent rooms Broken windows Refusal to change rooms when all of these things were pointed out to the owner. 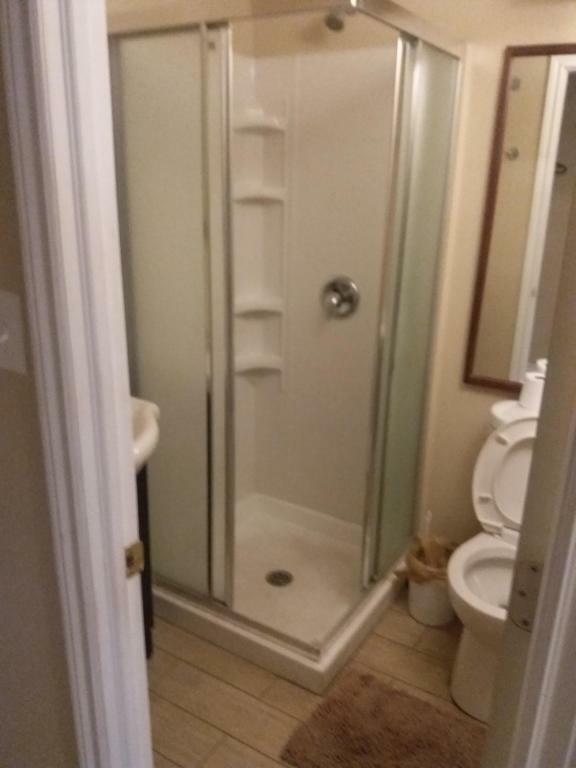 Bathroom sink was leaking and kitchen was very small and cramped. The location was great, we could walk almost everywhere. The property was dirty, smelled terrible, cheaply furnished and the staff had no sense of hospitality even coming into our room without knocking/asking before our check-out time. I could feel the springs in the mattress and it was sagging on one side. The pillows were extremely lumpy. Also, there was a draft coming through the window where the AC unit was as it was improperly sealed. This was the worst place I’ve ever been. The price is cheaper compared to the other places, but even with that, it was not worth the price. The apart was very dirty and smelly when I arrived. I stayed for two nights, and since the first night there were small cockroaches everywhere. With the smell, it’s disgusting. The neighbourhood did not feel safe when it’s getting dark. The heat didn’t seem to work properly. The location of the apartment was close the main centers. So it was ok. The manager is also nice.